At the EDUCAUSE Annual Conference today, Laserfiche announced the availability of the higher education package in the Laserfiche Business Process Library. The Business Process Library is a collection of prebuilt processes that provide the downloadable tools necessary for rapid business process automation and deployment. 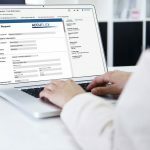 Users can select desired processes from the Business Process Library to download process diagrams, workflows, template fields and reports, all of which can be configured to fit an organization’s specific requirements. The higher education package offers key administrative functions including application review, transcript processing, change of academic major or minor, and diploma requests. Organizations can configure processes to fit their needs, whether that means adding a mobile element, or changing how information is captured or who approves it. At the end of each process, submitted documents are archived in accordance with a retention schedule based on compliance requirements. Texas A&M University System, one of the largest systems of higher education in the nation, uses Laserfiche to automate processes across 11 universities, seven state agencies and a comprehensive health science center. A&M System implemented Laserfiche as a shared service to minimize support and maintenance costs while leveraging shared knowledge, facilitating collaboration, supporting compliance and enhancing overall efficiency. Along with Huff, Texas A&M University’s Judith Lewis, Senior Information Technology Manager, and Emily Weers, Associate Director of Accounting and Travel Services, will join Ding for an EDUCAUSE Annual Conference breakout session Oct. 26 at 3:40 p.m. The speakers will discuss how to plan and deploy an enterprise system, measure progress and impact of process automation projects and best practices for communication, collaboration and training across campus. The Business Process Library is available as part of Laserfiche 10, the latest enterprise content management offering from Laserfiche. In addition to the Business Process Library, Laserfiche 10 includes embedded analytics and performance dashboards that give colleges and universities insight into workloads and staff performance. This information enables managers to evaluate employees from a holistic perspective and make strategic decisions. Laserfiche ECM automates a variety of processes, including human resources, records management, contract management and accounts payable, among others. 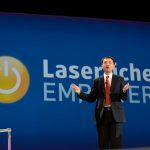 Visit laserfiche.com to explore its flexible deployment models, request demonstrations of these processes and more.